For milk testing in the US, the Charm II tests can be performed using a sequential or competitive assay. Both assays detect four sulfonamides at or below US safe levels. The US SULFA competitive assay for milk is recognized by the NCIMS (National Conference on Interstate Milk Shippers). The Charm II EU test for milk detects sulfonamides at the EU MRL of 100 ppb total sulfonamides in cow milk. This test may also be used, with a modified procedure, to detect sulfamethazine (sulfadimidine) at the CODEX MRL of 25 ppb. The Charm II Sufa Drugs tissue test can be used to test any animal including cattle, swine, chicken, and salmon. 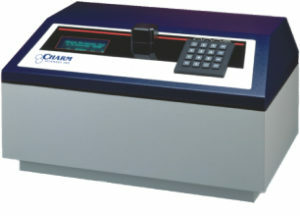 Charm II tests are also used to detect sulfonamides in grains, such as cracked corn, and in honey. The US milk assay is recognized by the NCIMS (National Conference on Interstate Milk Shippers) when the competitive assay is used. The Charm II SULFA test for milk detects four sulfonamide drugs at or below US safe level. The Charm II SULFA test is recognized by the National Conference on Interstate Milk Shipments (NCIMS) when the competitive assay is used. The Charm II SULFAMRL test for milk detects sulfonamides at the EU MRL of 100 ppb total sulfonamides in cow milk. It also detects sulfamethazine (sulfadimidine) at the CODEX MRL of 25 ppb with a modified procedure. Central Reference Laboratory (CRL) guidelines available upon request.